My baby girl turned eight a couple of weeks ago. I can’t believe how much has happened and changed in those eight years. Isabelle’s looks and personality is changing so much at this time. We definitely have our moments of stubborn defiance, but for she is the sweetest and most tender-hearted kid. She loves everyone and though she is a follower and easily led by other people, she loves everyone! I pray that she continues to love and share with everyone and doesn’t lose that sweetness as she enters those ‘difficult years’ as I have heard so many other parents call them. Please join with me in praying that she trusts God and lives to serve him and share him with her friends. For years now I have told Isabelle that she couldn’t spend the night with anyone until she was in the third grade. Well…now that Isabelle is in the third grade, what do you think she wanted for her birthday party? Yep! 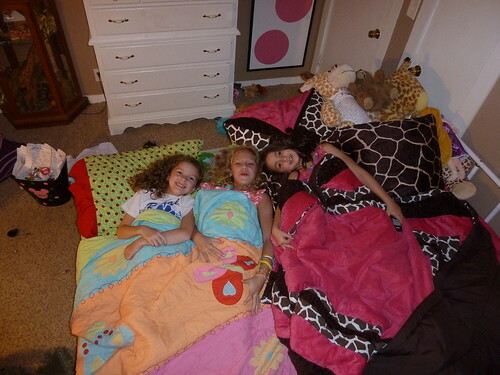 A slumber party. In an effort to not go crazy with the parties this year, I told her that she could have two friends over. She was so excited. 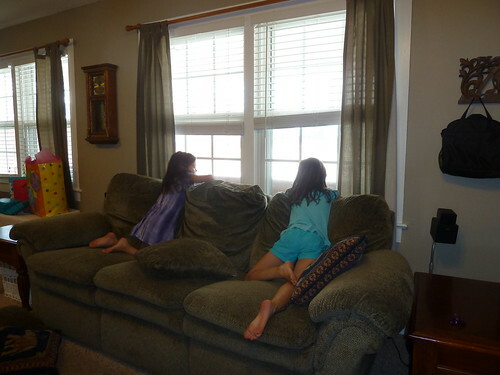 The morning of the party, she and Anna spent the whole day at the window looking for her friends to show up. 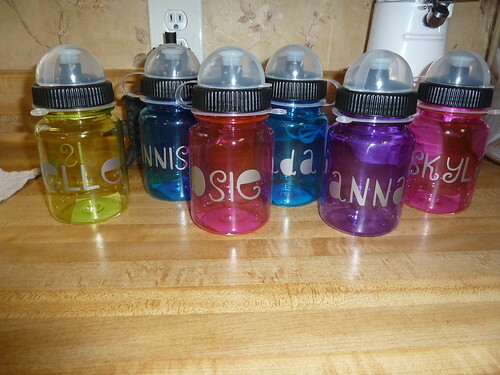 Here are the cups that we did instead of goody bags this time. Leave it to my child to pick these simple cupcakes for her party. With all of the fancy cakes that I do for everyone else, Isabelle just chooses plain old cupcakes with Squinkies sitting on top of each one for her friends to take home. 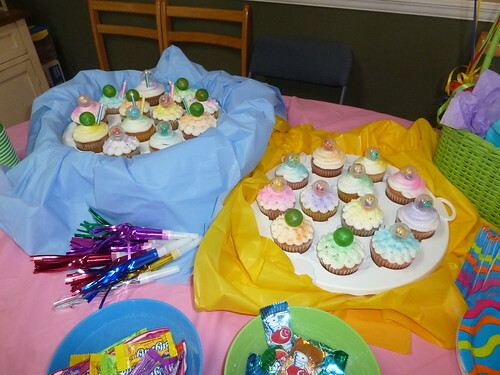 Here is the cupcakes. 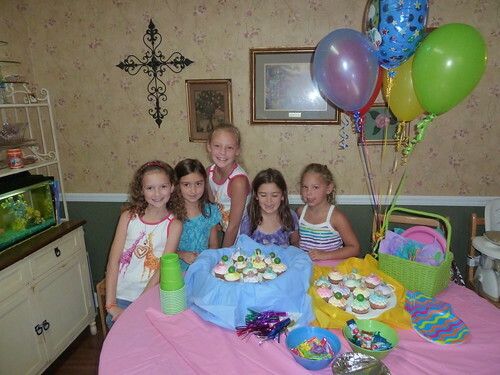 Before the ‘slumber party’ began, we had the cake and presents so that Anna could be there. Here is a group shot of the kids at the party part. Isabelle got a new toy box and room décor for her birthday. 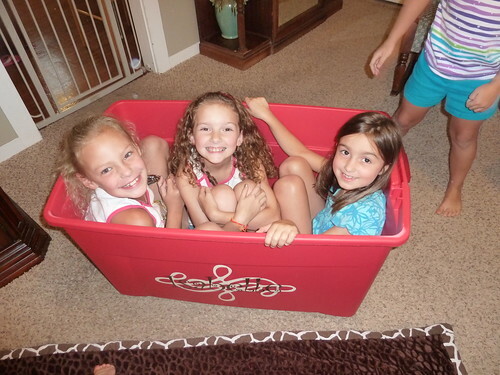 Here is Isabelle, Skylar and Jada in her new toy box. 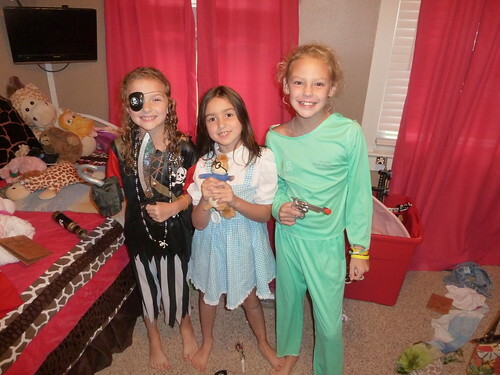 The girls had fun playing dress up. 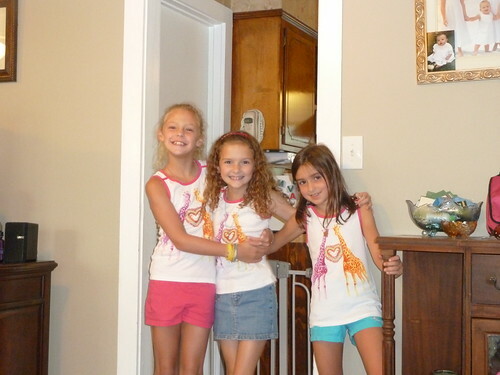 And here is the girls in their matching shirts that Jada gave Isabelle and Skylar for their birthdays. They loved these. They all had a good time and Isabelle can’t wait to do it again. Now…what can I tell her to make her believe that she only gets one sleepover a year?!? !